Perixx have recently released two new keyboards in their computer accessories range. These are the Perixx Periboard 410 and 411 models. Functionally and aesthetically they are identical but the 411 has backlight illuminated keys, much like the Perixx 311 I’ve reviewed previously. Both the 410 and 411 are compact UK specification USB keyboards and both feature a standard USB cable and integrated USB socket on one side. As compact keyboards they don’t include the numeric keypad on the right hand side like their larger counterparts. So these models are for users who want a more space efficient design without compromising on usability. The no-fuss packaging contains the keyboard and a small instruction booklet, although you probably don’t really need to know how to use it. Just plug it in and type! As you would expect from Perixx the item is well made in black plastic. The underside features two small flip out stands which you can use to raise the back edge if to suit your personal preference. 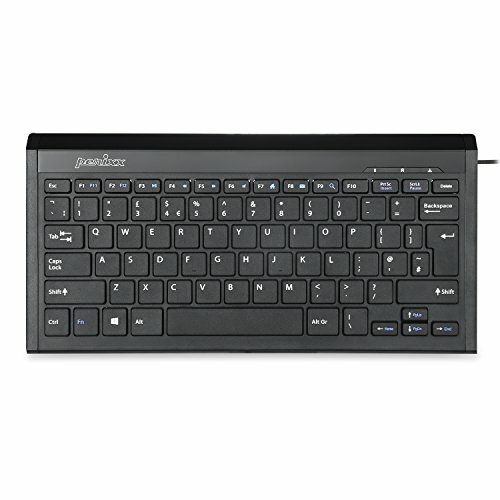 I use the Perixx 311 Plus as my main PC keyboard and I found the 410/411 keys to be slightly quieter. A user who wants a keyboard with a smaller footprint than a standard model. A user who may enter a lot of numerical data and makes use of a numeric keypad. For my own use I prefer a full sized keyboard on my PC but I spend a lot of time playing with Raspberry Pi computers and compact keyboards are much better for those when I’ve got three keyboards on my desk! 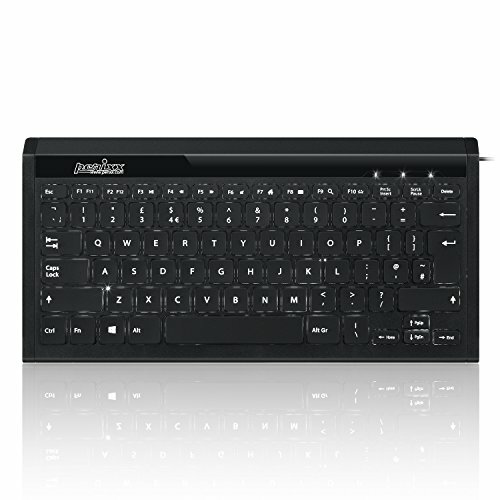 Overall the Periboard 410 & 411 are well made mini keyboards without any unnecessary bulk. Which model you choose if purely down to how much you like illuminated keys and whether you want to pay the extra. This product was sent to me for review purposes. I was free to do whatever I liked with it, under no obligation and the above review is based on my own truthful experience.